DPCI built a Drupal-based Web content management system that drives PointClickHome.com, the umbrella site for all magazine properties of Hachette Filipacchi Media's Shelter Group. Hachette Filipacchi Media U.S., Inc. is the New York-headquartered subsidiary of Hachette Filipacchi Medias, a major international publishing conglomerate. Through its network of magazines, Websites and mobile content, HFMUS reaches over 50 million consumers. Its popular Shelter Group is comprised of several home decorating and remodeling magazines, including Elle Décor, Metropolitan Home, Home, Kitchens & Baths, Gardening & Deck Design, Budget Decorating, Remodeling & Makeovers, and Walls, Windows & Floors. 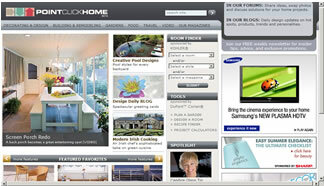 Realizing the opportunity to aggregate content from all of the Shelter Group's magazine properties into one entity, the company developed a concept for PointClickHome.com, a portal that would serve as the umbrella site for all Shelter magazine properties. The Web content management system in place at HFMUS, however, was outdated and inflexible, and could not support the portal that the Shelter team envisioned. The Shelter Group needed a technology partner who could turn the vision of a comprehensive portal as the go-to resource for home decorating and remodeling into reality. 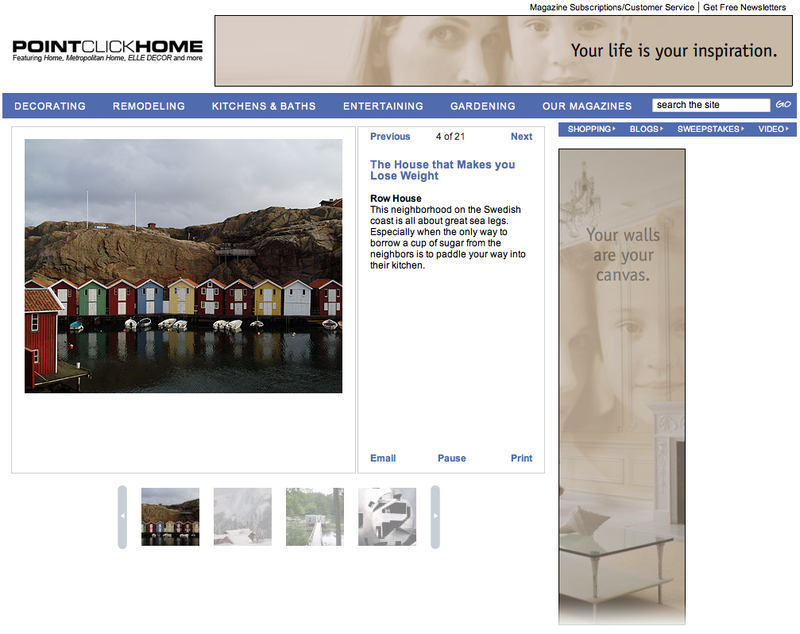 Prior to launching PointClickHome.com, each Shelter magazine operated its own Website. Each was supported by a separate design team that managed editorial content in its own way, and each stored content in its own database. As a result, the Shelter magazines were unable to take advantage of potential shared resources, and visitors to any one site were never exposed to the offerings of its sister sites. 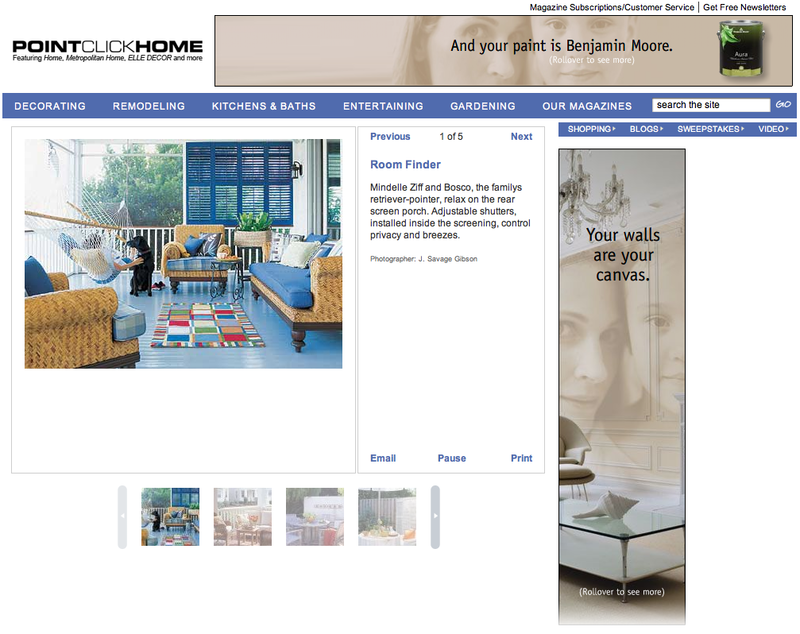 According to Marta Wohrle, Senior Vice President, Digital Group at HFMUS, the company wanted to maintain the individual look and feel of each magazine's Website, but also consolidate the content as independent channels of PointClickHome.com in order to give users a vast, easy-to-navigate source for decorating and remodeling information and tools. 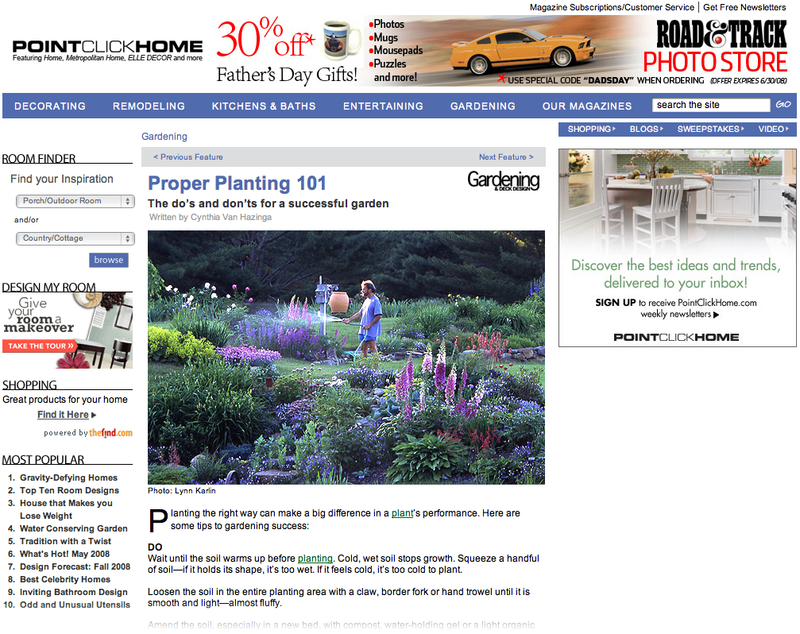 "With PointClickHome.com, a new content management strategy was needed to unify each magazine's brand identity and content under a single umbrella," Wohrle said. "The site needed to be intuitive and easy to use, all while providing a range of resources." From a business perspective, the Web portal needed to provide the Shelter Group with a means to monetize its archived content, which was underused and difficult to search or repurpose. The new portal also presented the opportunity to offer a new advertising platform to drive revenue growth by targeting ads across the aggregated content to consumers who would find them the most relevant. The Shelter team tapped DPCI to architect the technology strategy that would ultimately power PointClickHome.com. DPCI designed a solution based on the Drupal Web content management system. DPCI provided Drupal consulting services to the Shelter Group's marketing and Web design teams to frame the features and functionality of the portal, as well as the technical specifications required to power a new Web content management system. This included a completely revised navigation framework that provides multiple levels of access, a comprehensive product catalog, and integrated search tools that indexes all content types, including articles, images, blogs, and product finder data across all of the brands. 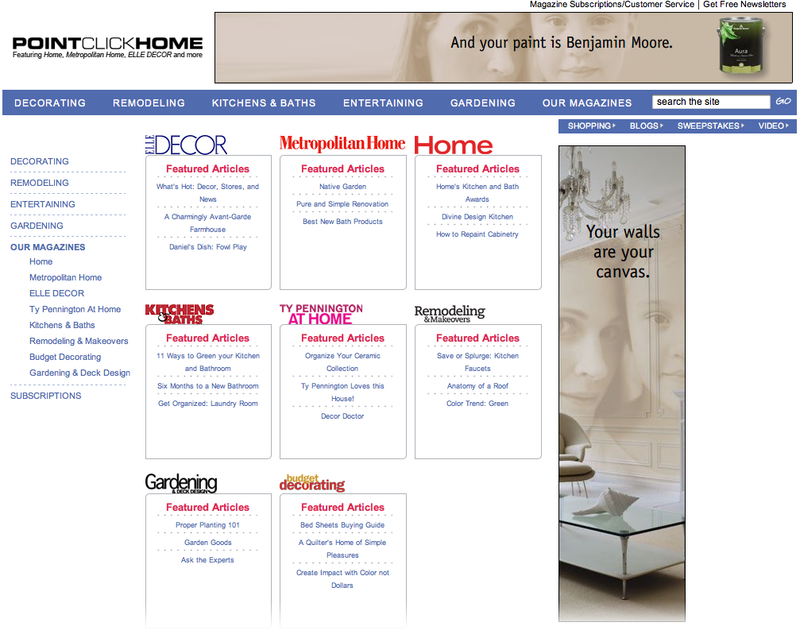 One of the greatest challenges of the PointClickHome.com launch was that the content existed in many disparate sources. DPCI migrated content from five separate databases (one for each of the core Shelter magazines, as well as the product finder database and blog archives) to the new PointClickHome.com Web content management system, painstakingly mapping all content elements to the same content scheme. Users can now browse the site by magazine or by content type, or they can use the new content management system's powerful internal search functionality to find content by keywords or a full-text search. 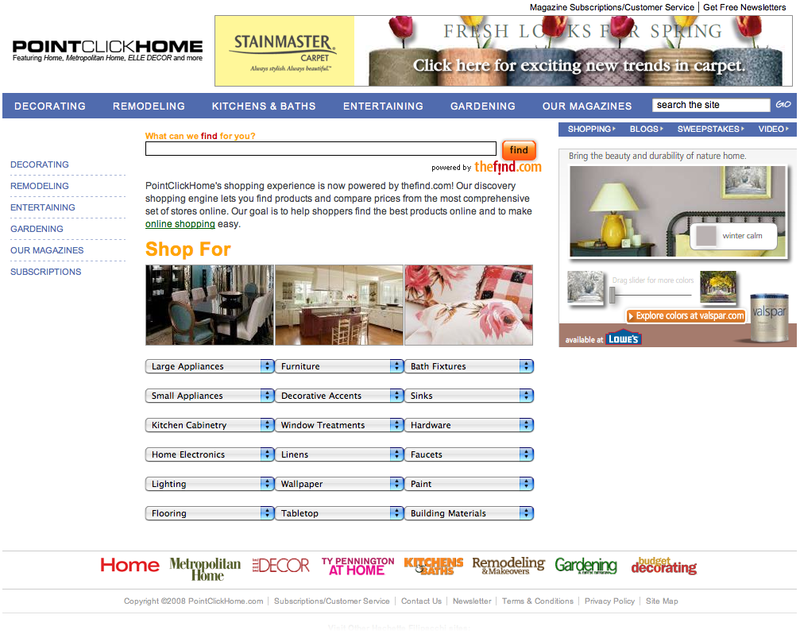 Through PointClickHome.com's product finder catalog, users can access information about any product featured in any of the eight Shelter publications. The site's framework also allows for click-through referrals from the product finder to retailers' e-commerce sites, further improving the in-market user's "one-stop-shopping" experience and the potential for advertising revenue. One of the key advantages of the new Drupal Web content management system is its user-friendly administration - producers can add and edit content without knowledge of specific programming languages. For example, the slideshow module developed by DPCI allows users to upload many images at once, bulk edit metadata, place advertisements in a slideshow, and turn ad slots on and off without writing a single line of code. Web producers can view and edit the site using the same application, enabling them to make quick and accurate changes. To further establish a positive user experience, PointClickHome.com was integrated with web accelerator Akamai, which ensures fast, reliable content delivery and enables the site to maintain performance even during traffic spikes. DPCI and the Shelter Group also leveraged DoubleClick's DART for Advertisers, a hosted, enterprise-class advertising management and serving solution. DART enables the Shelter Group to sell keyword advertising and other specialized marketing campaigns. "Throughout this project, DPCI provided the expertise and guidance to help create the appropriate content management strategy and identify the tools necessary to make it happen," stated Wohrle. 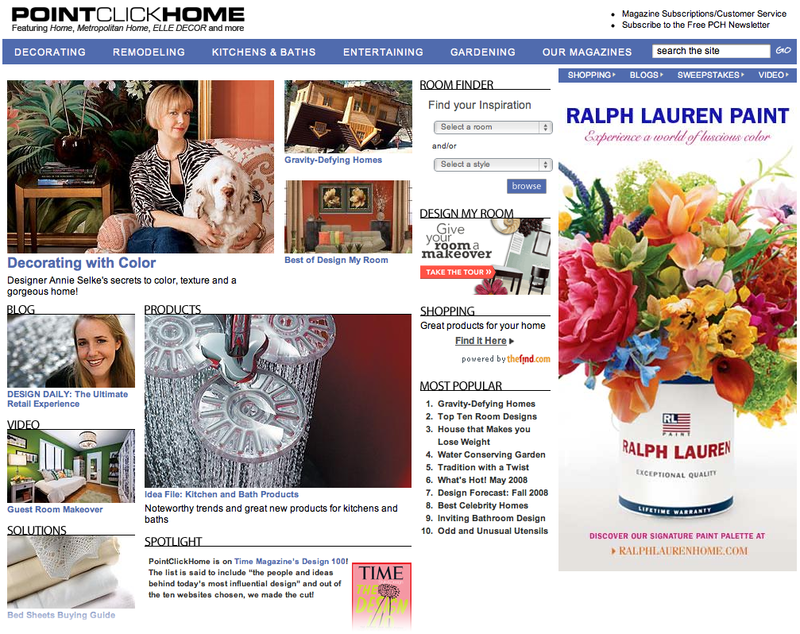 "With PointClickHome.com, each magazine property can continue to focus on its core business while contributing in part to one of the largest portal sites for home decorating and remodeling." 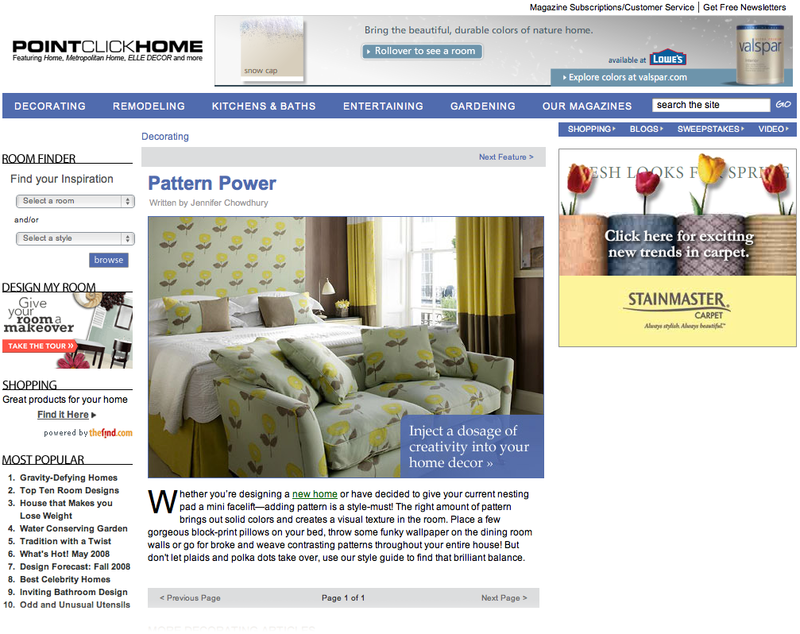 The synergy of PointClickHome.com promises to offer an impressive knowledge base of Shelter content, extending the value of each magazine's editorial focus. The portal allows Shelter magazines to extend the utility of their content while expanding their reach by introducing readers to different types of information, products, and advertisers. Readers can now search for a brand, product or company name and receive results not just from a single publication, but from across the entire network of Shelter magazine Websites. Product results are also linked to manufacturer and retailer Websites, allowing users to take advantage of Shelter resources when making purchase decisions, and in turn increasing the portal's value to potential advertisers. As part of its strategy, PointClickHome.com serves as a central repository for original content found across the Shelter network of publications. 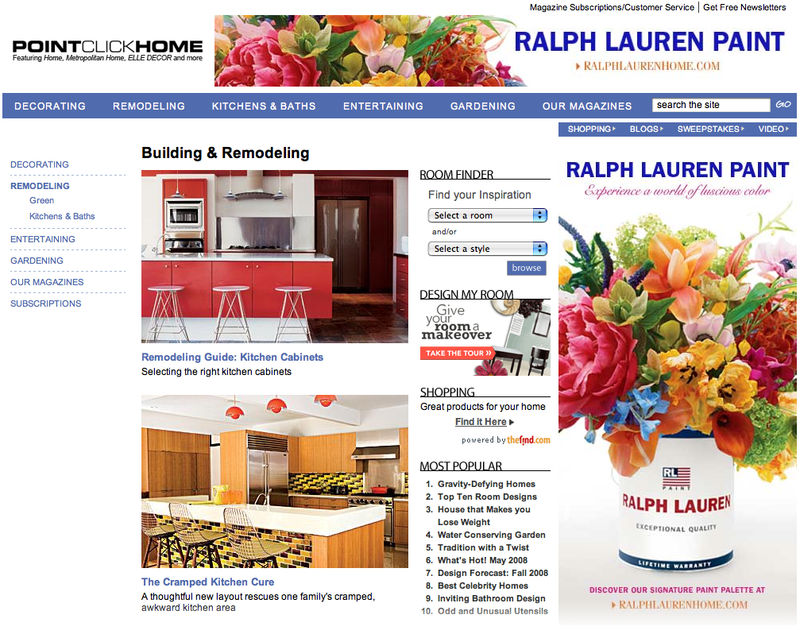 Users can easily browse the portal to find online demonstrations, how-to movies, virtual room designs, seasonal guides and other resources, making PointClickHome.com the premier destination site for all aspects of home decorating, remodeling, and interior design projects.